Scheduled Yemen peace talks hung in the balance Friday, with the Huthi rebels listing preconditions for coming to Geneva while the government warned it would decide within hours whether to fly home. The rebel delegation, still in Yemen's capital Sanaa, insisted the UN meets three demands before it travels to Switzerland. UN envoy Martin Griffiths, who earlier said the planned meeting offered a "flickering signal of hope" for an end to the years-long conflict, had to postpone the start of the talks and was left scrambling to save them. "He continues to make efforts to overcome obstacles to allow the consultations to go forward," his office said in a statement, adding that Griffiths remained "hopeful" the rebels would come. The Geneva talks are meant to be the first since 2016, when 108 days of negotiations between the government of President Abedrabbo Mansour Hadi and rebels failed to yield a deal. The Huthis control Sanaa and much of northern Yemen, while a Saudi-led coalition which backs Hadi's government controls the country's airspace. But on what was meant to be the opening day of talks, the rebels issued an ultimatum from Sanaa, saying they would not join until the UN meets three conditions that it had already agreed to. They want the transportation of wounded rebels to Oman for medical care, the repatriation of rebels who have already received treatment there, and a guarantee that the Huthi delegation will be allowed to return to Sanaa after the Geneva talks. The rebels said late Thursday that the coalition was "still refusing to give permission to a Omani plane" to land at Sanaa and take the delegation to Geneva. The rebels also need to "ensure the safety of the delegation" and require a guarantee that they would be allowed to return "smoothly" to Sanaa airport, according to a statement posted on the SABA news agency website. The government delegation said Thursday it would wait only 24 hours, until midday (1000 GMT) on Friday, then leave Geneva. Yamani later denied that the government had issued such an ultimatum but told journalists in Geneva "the government delegation will take a decision within a few hours whether to continue in Geneva or to withdraw". Yemen delegation member Hamza Alkamali said the talks had been scheduled for two months and that the rebels clearly "don't want peace". Clearance for a flight carrying rebel delegates and wounded was "issued three days ago," he insisted. Griffiths, was "mindful of the challenges associated with bringing the parties together to Geneva, bearing in mind that they haven't met for two years," his office said in a statement. On Thursday, an AFP journalist saw the envoy entering the Geneva hotel hosting the Yemen government delegation. If and when the two parties do eventually meet, he said, there would be no "formal negotiations", merely exploratory talks on how best to get everyone around a negotiating table. 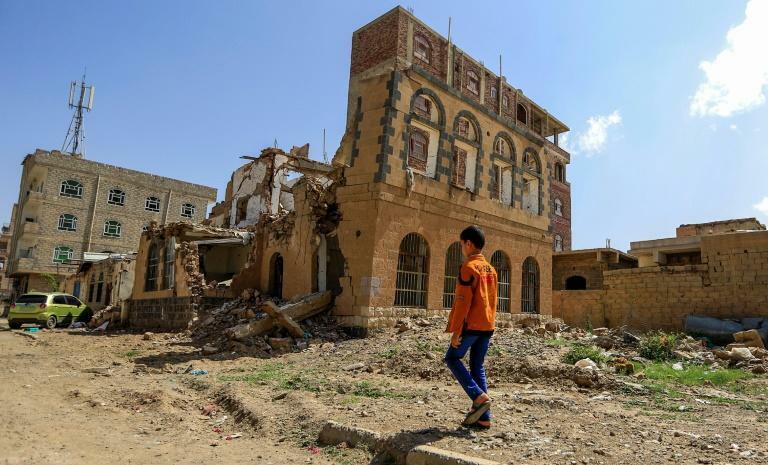 The UN Security Council this week urged both sides to "take a first step towards ending a conflict that has brought severe pain and humanitarian suffering to the Yemeni people". Griffiths is the UN's third Yemen envoy since 2014, when Huthis overran the capital and drove Hadi's government into exile. 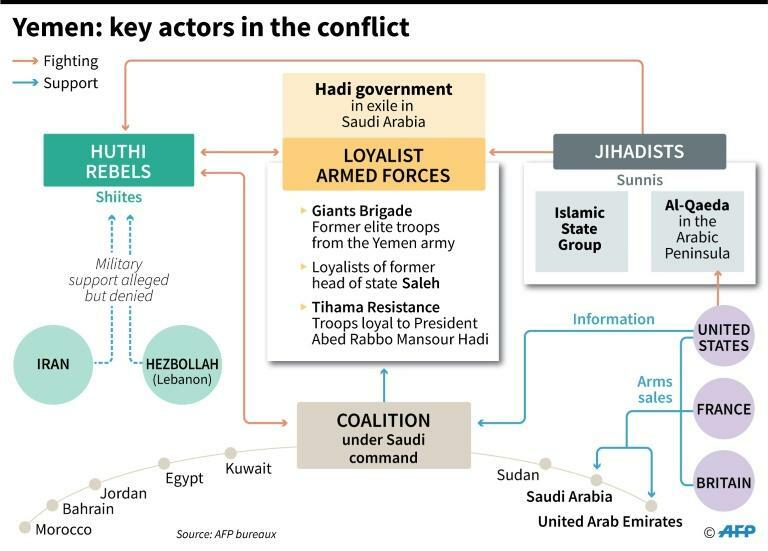 The following year, Saudi Arabia and its allies formed a powerful regional military coalition to back Hadi. The conflict has left nearly 10,000 people dead and pushed the Arab world's most impoverished country to the brink of famine. 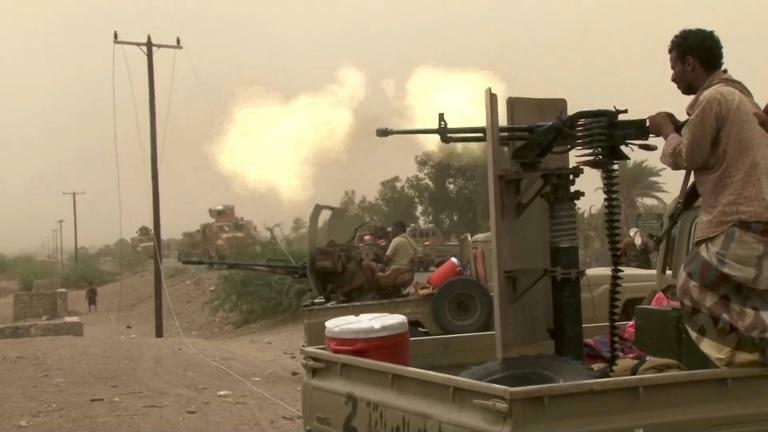 On Thursday, the Saudi-led coalition acknowledged there may have been "collateral damage" from August 23 strikes the UN said killed 26 children south of the port of Hodeida. On Wednesday, Saudi Arabia shot down a ballistic missile fired by Huthi rebels, with shrapnel wounding 26 people including two children, the coalition said.